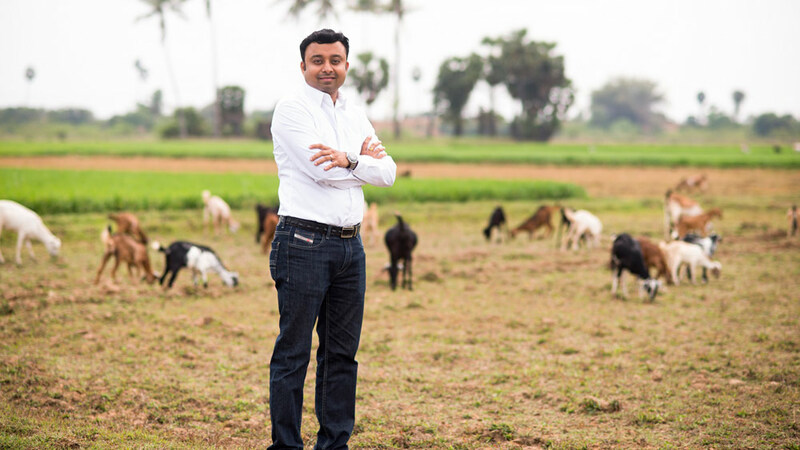 In an interview with Restaurant India, Nishanth Chandran, CEO, TenderCuts shares about setting up India’s first omni-channel fresh cuts meat and Seafood Company. Started by Nishanth Chandran in January 2016, TenderCuts (GFM Retail Pvt. Ltd) is India’s first Omni-channel fresh cuts meat and Seafood Company. A tech-innovator in the e-commerce space, Nishanth is an experienced and accomplished entrepreneur with a proven track record of building strong and successful companies, with innovation and technology infrastructure as his core competency, thus delivering great value proposition to customers. Nishanth started his entrepreneurial journey with noted e-billing company, EBS (E-Billing Solutions), India’s leading online payment gateway in 2005. What was the whole idea starting TenderCuts? I visited Europe few years back where I came across a local meat market which left a long lasting impression with the immaculate market standards. The meat was clean, hygienic and even had multiple choices of grading for the customer. In India, where meat is hugely consumed, the general standards were poor, unhygienic with no compliance with FSSAI standards. The idea of TenderCuts was born at that moment with a vision to be a socially conscious meat delivery company that believes in providing the best quality meat to the customers at rational prices. Tell us about your product category? TenderCuts is an omni-channel start up that sells all varieties of fresh-cut meat like Chicken, Goat, Sea Food, Lamb and Marinades etc. The company has been self funded for INR 3 Crore. We have also received funding from an angel investor Suresh Krishn, MD, Isha Homes, who has invested INR 4.6 Crores in this venture. Tell us about your business revenue model. What is your expansion plan? What are the key areas you are focusing? Our franchisee model works on FOCO (Franchisee owned company operated model). Since the business involves following stringent quality standards and handle perishable products. Hence, it will be a hassle free process of managing business giving attractive monthly returns. Currently, we have six outlets in Chennai and have plans to expand to 20 to 30 outlets in Chennai and eventually move to Hyderabad and Bengaluru by early 2018. What is your opinion on increasing start-up companies in India? The Indian startup ecosystem will grow 2.2 times to reach over 10,500 startups by 2020, according to a report released by NASSCOM in collaboration with Zinnov. The increase in number of startups can be attributed to evolution of the Internet, newer and user friendly technologies, positive government policies, foreign funding, and the interest shown by bigger business organizations to invest and nurturing entrepreneurship in the country. The much needed push came from the present government in the form of Startup India which put India on the world map when it came to the nurturing of startup culture in the country. The rise in investments, seed and angel funding and a stable landscape across different sectors has given a new hope to the startups in India. What was the challenge you faced growing this business? One of our main challenges was to win the loyalty of the consumers and educate them who regularly patronize the neighborhood butcher shop. Although, the meat sold in such places would be stale, fly and mosquito infested, unclean and cut in a slipshod way, home-makers and buyers still prefer their local butchers for reasons of familiarity and convenience. There is tough competition in the industry what is your strategy of survival? Our backend technological systems are very agile and extremely optimized with a robust Inventory management systems that map and track Parent-Child SKU relationship and help to reduce wastage and ensure faster delivery. Cuts are made using optimization algorithms to reduce meat wastage and optimum prediction algorithms help predict customer order behavior and help reduce product unavailability and wastage. Also, complete integration with the entire supply chain in mapping every live stock batch with the SKU (Parent-Child Mapping). We have also worked on backward integrations in building supply chains in Goat/Sheep farming and we are strengthening our supply chain in seafood, through direct integration with fishing boats. The complete process is tech enabled and seamless and is in direct partnership with farmers and fishermen communities, and better cost realization by eliminating the middlemen and thus encouraging micro-entrepreneurship. What are the factors that are driving the demand in the market? Meat consumption is growing and has become a vast market in India. The Chennai market alone has been estimated at potentially INR 2500 Crore and 8 Billion USD in urban India. Not many players are in the fresh cut meat segment and TenderCuts is proud to be India’s first omni-channel fresh-cut meat company. What is the average shelf life of the product? All our products are fresh in nature and hence have a shelf life of 1-2 days. Are you planning to tie-up with online food product sellers? Since, this category is new, we don’t have a tie-up and we operate directly to control quality and freshness. Have you seen a rise in demand post high court’s order of closing down slaughter houses in UP? Customer is getting educated and awareness levels are increasing, the high court order was an eye opener for the public. We believe we need more support from the govt. in educating the consumers. Hi Mate, Thanks for sharing this Wonderful Article.